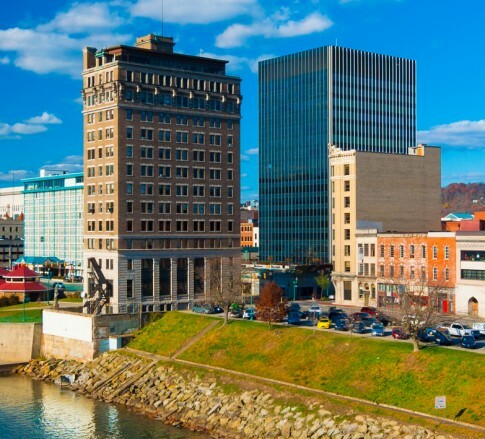 West Virginia’s capital city is rich with history – it was home to the first natural gas well in 1815, home to the first brick street in 1870, and has been Jackson Kelly’s home for nearly 200 years. Jackson Kelly’s Charleston office remains the Firm’s largest, housing more that 200 attorneys and staff. Located in Laidley Tower in downtown Charleston, the Firm completely renovated this office in 2005. With an entire floor of modern conference facilities and stunning views of the surrounding area, this space both meets client needs and allows the Firm to host meetings for many charitable and community organizations. The Charleston office represents Jackson Kelly’s full-service capabilities, with more than 90 attorneys experienced in all practices and industries. Jackson Kelly Mining and Natural Resource Practices Ranked in First-Tier of 2016 "Best Law Firms"
Jackson Kelly Named to Southern Political Report's List of "The South's Top Government Affairs Firms and Lobbyists"
Elizabeth B. Elmore will be presenting a CLE on Liens in West Virginia and Pennsylvania and how they affect Leasehold Interests on January 21, 2015.